In response to discomfort over emissions targets, the Prime Minister today announced that he would decouple the targets from the National Energy Guarantee (NEG), putting them in a regulatory framework rather than binding them into the NEG legislation. Below Australian scientists and economists react to the changes. Check here for previous comments on the National Energy Guarantee. After the last few days it is completely unclear what sort of energy policy, if any, the current Australian Government might bring to parliament. The energy sector must continue to sit and wait for much-needed investment certainty. The electricity sector is capable of delivering significant cuts to emissions while also delivering reductions in energy costs. Solar and wind are now generally the cheapest forms of new-build electricity generation available, and have been shown to drive energy costs down rather than up. Reliability issues that may arise in a high renewables future can be addressed through new generation and balancing technologies, such as pumped hydro energy storage or battery storage. A coherent policy could address all three of these energy and climate objectives. The lack of any integrated national energy and climate policy is not particularly good news for Tasmania's energy plans. Utilisation of Tasmania’s natural advantage of excellent renewable resources, energy storage capacity and technical expertise in support of Australia's power system, as proposed in the Battery of the Nation project, is essentially dependent upon policies that support low emissions generation with dispatchable generation and balancing technologies. Unfortunately, it doesn’t look as though we will have that any time soon. The target 26% emission reduction will be met regardless of whether the NEG is implemented or not or whether the emission target is dropped. This was even proved by the recent future integrated system analysis from AEMO. If the AEMO analysis is right, a mixture of gas-fired generation, renewable energy, and storage is projected to be the lowest-cost way to replace the coal generation by 2040. Market will decide the energy generation mix in future. The recent announcement decoupling the emissions reduction target for the electricity sector from the National Energy Guarantee mechanism is precisely what is needed. By setting the target in regulation rather than in legislation (and thereby running the risk of a hostile Senate), any future government can then ramp up the ambition of the electricity sector beyond 26%; either to cover the inevitable shortfall in the more-difficult-to-achieve targets in other sectors, or in order to meet a more rapid decarbonisation trajectory if required by the world’s post-Paris progress. A separate regulatory ambition would also prevent the much-feared lock-in of coal-fired power generation on decadal timeframes. Some may argue that this provides less certainty to industry – but here the certainty is established by the mechanism rather than the rate, in a similar way that industry is used to (and can prepare for) monetary policy being tuned by interest rates. A timetable could be set for the adjustment process in much the same way as the Reserve Bank of Australia timetables the adjustment of interest rates, although on timeframes measured in years rather than months. There is a renewable energy train coming down the tracks, which will ride right over the top of this vacillation on aligning climate and energy policy if we don’t act now. The NEG mechanism can help guide and even accelerate the train towards our climate goal, and future policies such as an economy-wide carbon pricing mechanism can be laid right over the top of it. My views on this new development are mixed. On the one hand the NEG was a 4th best option for Climate Policy (After the emission trading scheme, renewable energy target, and the Finkel Clean Energy Target based on emission intensity were all dismissed by the government), and it may well be better to defer the settlement on a good climate/emission policy to the next government. I never felt that the current NEG would provide the policy stability industry really needed since the targets in the legislation were so weak that there would be no incentives to build more renewables once the RET is met. On the other hand, a move to targets in regulation is actually something I always preferred as it can be updated as the electoral mandate for emission reduction strengthens (polls say it’s already much stronger than the current Paris-related targets). From the point of view of policy, uncertainty for investment in renewables would make little difference as the NEG provides no upward pressure on renewable investment, while having regulated targets could actually result in more investment if targets are raised, but there is zero clarity on how this would really be decided. Another failure of the current policy rationale is that there is no evidence it will actually decrease prices in the short-medium term. There is too much fine detail to be able to model it properly and it may well increase prices by helping concentrate market power. The Reliability Guarantee component is an oversimplified patch on the already very complex market reliability frameworks which were designed for a pre-renewables era. A full review and redesign of the National Energy Market is needed to accommodate new technologies and the NEG was attempting to do this on the fly. 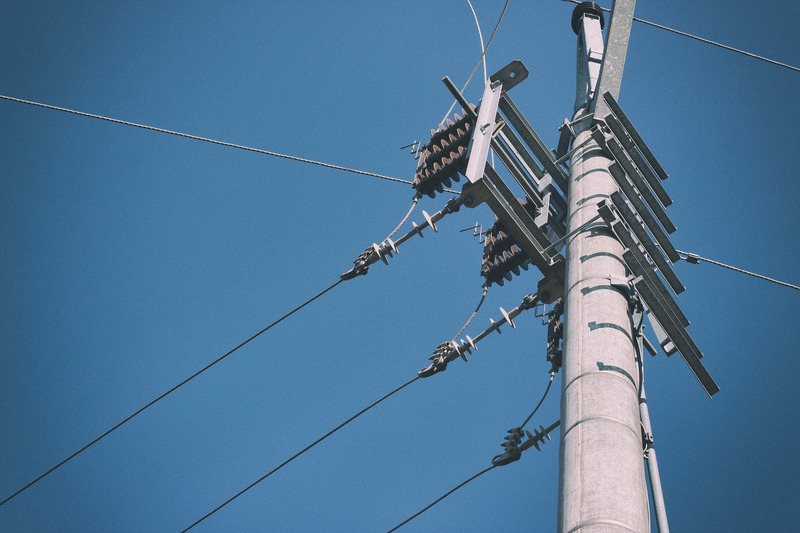 The possible refocussing of government policy on electricity prices is potentially a good thing if it is done in accordance with the best practice around the world and the recent ACCC review which set out some very clear and comprehensive options. In summary it is unclear how the current changes in direction are really going to result in a worse outcome for climate policy while there is a need to review market frameworks for longer term improvement in market frameworks. In the meantime price issues can be quite readily managed by some of the recommendations of the ACCC. I said last week that the inadequate National Energy Guarantee was probably as good as this divided Coalition government could provide. The changes just announced reinforce that view. The NEG emphasises security of supply, one of the three objectives that should be achieved by an electricity policy. Its claim to reduce prices is very dubious, and the assurance that the average household power bill will come down by $550 a year is just not credible. The NEG’s most serious deficiency is its failure to meet even our legal requirements under the Paris agreement to slow climate change. Since the government has no plan at all to reduce our greenhouse gas emissions from transport, agriculture or manufacturing, the lion’s share of our agreed reductions must come from electricity generation. The NEG’s target is totally inadequate. Modelling suggests that the current wave of investment in large-scale renewable energy generation will be stalled if the NEG is approved in its present form. The best way to give security of supply and lower prices would be to encourage more rapid development of large-scale solar and wind with storage. A new coal-fired power station would be financially irresponsible as well as being incompatible with our Paris obligations, which really require the rapid phasing out of existing fossil fuel generation. The decision to regulate the target, rather than legislate it, increases uncertainty for the electricity sector. The good side of this outcome is that it will be much easier for an incoming ALP government in 2019 to increase the target to a more responsible level. The bad side is that it could easily be made even weaker if there is a coup and the Dutton-Abbott-Abetz group in the Coalition seize power, since many of those MPs are still denying the need to slow climate change.